Ground floor ringing room very cramped non ringers must wait outside in the open. The is a large secluded car park on the West side of the Church. There is lovely countryside around this area ideal for walking or cycling. 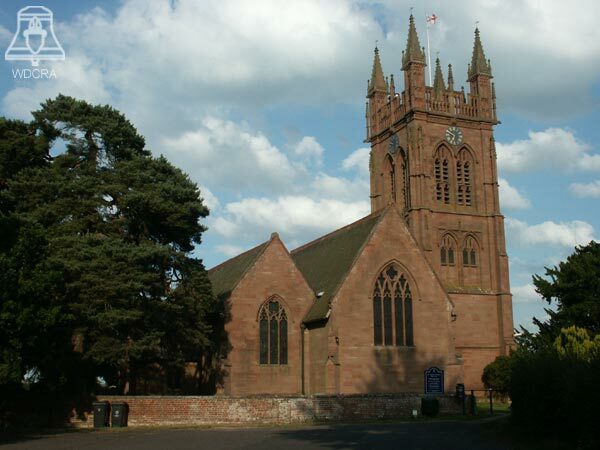 It is a short distance to Kinver a small town with its canal and riverside walks offering a selection of shops. The "Cat" public house in Enville, is very popular with the locals and only a few hundred yards east of the Church.